Hari Singh first participated in the capture of Kasur in 1807. Battle of Sialkot in 1808 was his first battle with independent command. 17 year old Hari Singh Nalwa carried the day. In the Battle of Multan a fire pot thrown from the walls of the fort fell on him and he was badly burnt and unfit for many months. Yet he was instrumental in the capture of the citadel. 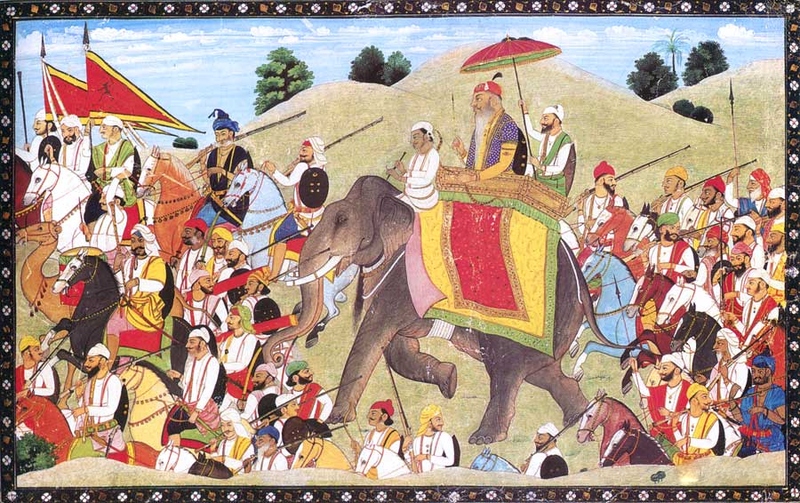 In April 1819, the Sikh army marched towards Kashmir. On the morning of 05 July 1819, the Sikhs captured Kashmir. Two years later, as Governor of Kashmir, Hari Singh Nalwa put down the rebellion of the most troublesome Gulam Ali. Hari Singh’s most spectacular success in the region of Hazara (now in Pakistan) came two years later in 1821. On the successful conclusion of his governorship of Kashmir, he departed from the Valley and crossed the river Kishenganga with 7000 soldiers. He traversed the hazardous mountainous terrain successfully, however when his entourage reached Mangal he found his passage opposed. Hari Singh Nalwa requested the tribesmen for a passage, but they demanded a tax on all the Kashmiri goods and treasure he was taking with him. A combined tribal force numbering no less than 25,000 gathered from adjoining areas and challenged Hari Singh Nalwa and his men. Despite being completely outnumbered, the Sardar stormed their stockades and defeated his opponents. In 1822 the governors of Attock, Mankera, Mitha Tiwana and Khushab declared independence. Nalwa was summoned post-haste to join the Lahore Army already on its way towards the river Indus. The Maharaja and his army had crossed the Jehlum when Hari Singh Nalwa, accompanied by his Kashmir forces, joined them at Mitha Tiwana. The Sikhs commenced offensive operations in early November. 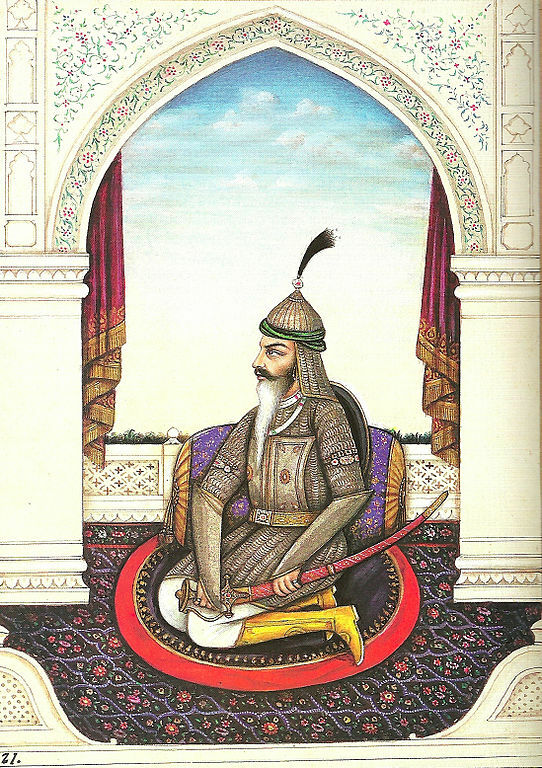 Nawab Mohammed Khan, had surrounded Mankera occupying 12 forts. The Sikh army captured these forts one by one and soon the only place that remained was Mankera itself. Earlier, the Nawab had actively participated in the reduction of Mitha Tiwana. The Tiwanas, now feudatories of Hari Singh Nalwa, were eager to return the favour. The force was divided into three parts—one column being under Hari Singh—and each column entered Mankera territory by a different direction; all three converged on Mankera town, with Nalwa’s force being on the west. The fort stood in the middle of the Thal. It was built of mud with a citadel of burnt brick surrounded by a dry ditch. To make the central fortress inaccessible, no wells were permitted by the Nawab to be dug within a radius of 30 km. During the night of 26 November Hari Singh Nalwa, together with other chiefs established their positions within long gunshot range of the fort. They found old wells, which their men cleared and fresh ones were dug. On the nights of 6/7 December, they moved closer to the ditch. The ensuing skirmish was ferocious and resulted in considerable loss of life, over 25 days. Finally, the Nawab accepted defeat and the last Saddozai stronghold fell to the Sikhs. In 1823 Azim Khan with an army moved to Naushera. Hari Singh’s immediate plan was to capture the Yusafzai stronghold to the north of the Landai, and the Khattak territory to its south. The latter was taken without difficulty however Jehangira in the north was a masonry fort with very strong towers and the Yusafzais offered tough resistance. Hari Singh entered the fort and established his thana there. The remaining troops re-crossed the Landai River and returned to their base camp at Akora. Mohammed Azim Khan had camped about ten miles north-west of Hari Singh’s position, on the western bank of the Landai, facing the town of Naushera, awaiting Ranjit Singh’s approach. The Sikhs had planned two battles on both banks of the Landai. After Hari Singh successfully reduced the tribal strongholds on either side of the river, Ranjit Singh departed from the fort of Attock. He crossed the Landai River at a ford below Akora, and set up his camp near the fort of Jehangira. The famous commanders Akali Phula Singh and the Gurkha commander Bal Bahadur, with their respective troops, accompanied the Maharaja. The Barakzais merely witnessed the main action from across the river. Hari Singh Nalwa’s presence prevented them from crossing the Landai. Eventually, the invaders fled in the direction of Jalalabad chased by Hari Singh Nalwa and his men to the very mouth of the Khyber Pass. 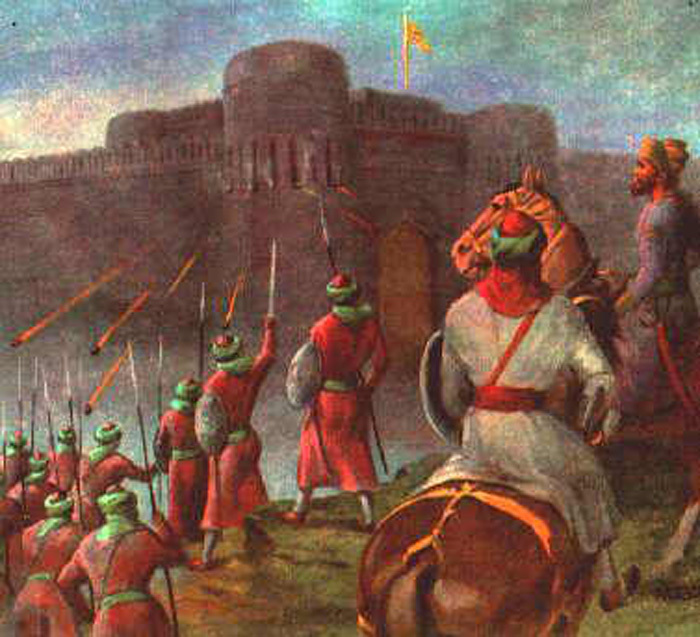 Hari Singh Nalwa stood guard at the fort of Attock with the intention of keeping the Sayyid and his men from crossing the river until reinforcements arrived from Lahore. News had reached the Sikhs that the jihadis accompanying the Sayyid numbered several thousand. The battle between the Sayyid and the Sikhs was fought on 23 February 1827. The Sikhs charged at their opponents, routed them, and continued a victorious pursuit for six miles, capturing their guns, swivels, and camp equipment. The Sayyid suffered complete defeat despite his large hordes. He was compelled to retreat to the Yusafzai Mountains. 8,000 Sikhs had defeated 150,000 Mohammedans. The occupation of the great city of Peshawar in 1834 was a reflection of Hari Singh’s formidable reputation. Eyewitness account reported that the Afghans simply fled and Nalwa occupied Peshawar without a battle. In October 1836, Hari Singh made a sudden attack on the village of Jamrud, at the mouth of the Khyber Pass. The occupation of Jamrud was strongly contested, but it appeared that the place was taken by surprise. With the conquest of Jamrud the frontier of the Sikh Empire bordered the foothills of the Hindu Kush Mountains. The news of the conquest of Jamrud alarmed Dost Mohammed Khan. General Hari Singh’s latest possession gave the Sikhs command of the entrance into the valley of Khyber. Hari Singh’s lieutenant, Mahan Singh, was in the fortress of Jamrud with 600 men and limited supplies. Hari Singh was at Peshawar. He was forced to go to the rescue of his men who were surrounded by the Afghan forces. Though the Sikhs were outnumbered, the sudden arrival of Hari Singh Nalwa put the Afghans in panic. In the melee, Hari Singh Nalwa was grievously wounded. Before he died, he told his lieutenant not to let the news of his death out till the arrival of reinforcements, which was done. While the Afghans knew that Hari Singh had been wounded, they waited for over a week doing nothing, till the news of his death was confirmed. By this time, the Lahore troops had arrived they merely witnessed the Afghans fleeing back to Kabul. Hari Singh Nalwa had not only defended Jamrud and Peshawar, but had prevented the Afghans from ravaging the entire north-west frontier. The Afghans achieved none of their stated objectives. The loss of Hari Singh Nalwa was irreparable. After the death of Hari Singh Nalwa, no further conquests were made in this region. The Khyber Pass continued as the Sikh frontier till the annexation of the Punjab by the British.